Scriba, a town of about 7,300 inhabitants, is located just east of the City of Oswego in Oswego County, New York. Recent clients that Michaels & Smolak has represented from the Scriba area include who a motorist who sustained neck and back injuries when another motorist failed to stop for a stop sign and struck his vehicle. Michaels & Smolak’s personal injury lawyers frequently travel to Oswego County to meet their clients and to advance their cases in the Oswego County Courthouse. Michaels & Smolak has offices in Liverpool, Auburn and Syracuse, but meet with clients at their homes for client convenience. 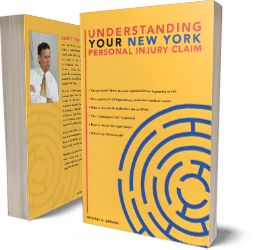 Throughout upstate New York, Michaels & Smolak has built a reputation for aggressive, pro-active representation of medical malpractice and accident victims. Their lawyers are well known and respected by insurance company defense lawyers and by local lawyers and judges. The firm’s lawyers have vast experience with personal injury litigation. Their bios, awards and honors can be viewed at the firm’s webpage.